Is it any different? Say the person after me is in Europe. Does it cost more? Should the original vine discs be kept in the US? If it does cost more than sending it normally thru the USPS, am I to assume responsibility for the added cost? If the thunder don't get ya then the lightning will. Different? not really, you still burn and pass. The only difference is at the post office. You can put on stamps, so you have to go down and pay for shipping. Yes it does cost more. Usually $.35 to $.50 more. Yes if somebody is from Europe or Canada or wherever you need to pay for the extra shipping. 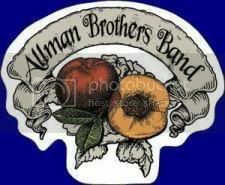 "The best damn band were ever gunna hear........THE ALLMAN BROTHERS BAND"
Also, in many cases you'll have to fill out a customs declaration. Obviously the vine will take more time to circulate. first there is a mountain.. This is a great, friendly community - thanks to everyone! I send freebies over seas all the time, if you can't afford it don't play the game, I don't ask where people come from .I got it for free, if it costs me a buck that's a pretty good deal. I pay here, you pay there, I got that show free. it all evens out in the wash. I agree with everyone else, if you're going to complain about the $.50 or even a dollar more, go buy the studio albums and forget this hobby. Don't take life too seriously. No one gets out alive! More vines and freebies will be sent from Norway to San Diego, Vancouver, Buenos Aires, Ouagadougou, Cape Town, Ulaanbaatar, Tampa, Tuscon, Tucumcari, Tehachapi and Tonapah. I'll hope some will be willin' to send me some vines. so THAT'S what that stand for! I'll hope some will be willin' to send me some vines. Seriously: there are quite a few from us living in Europe. Works pretty well, as I've seen the last couple of months. It will most of the times take about a day of 5-7 between Europe and USA/CND. So some patience is required, but as said before, we're essentially talking about free shows of great music, costing only a few $/€ stamps and blank CD's/DVD's or some diskspace to store it. For me absolutely worth waiting for it and paying some -extra- stamps. Yeah, so says the lyrics! being in canada and realizing that most of the stuff is coming out of the us i am more than happy to cover the small additional cost to get some great priceless shows from y'all..eh! all ya have to do is ask. Up in the Great White North Eatin' A Peach For Peace!! it would be interesting to find out the difference in transit times. usually a mailer will go as a letter as long as it isn't stuffed with discs. I would tend to pay a bit more if it means a difference of days or a week. one thing you can count on with the postal sevice is inconsistency. I'll have a testcase soon as well. I normally ship priority from the Netherlands to abroad (either Europe or USA/CND). Last time at another P.O. I realised afterwards that I forgot to mention it, and now it's being shipped economy unintentionally. It has nothing to do with saving 2 or 3 Euros, I just forgot to mention priority. When I've got results I'll publish it here. Sorry for the delay 2 packages may have now. was that the one that went via toucson tocomperry talahaaccthapeee an tocanpuh? I did some trades with someone in Japan a couple years ago and it took much longer for packages to get to Japan than packages I've sent to Europe. I frequently sign on to vines from the U.S. as many of you know. Most mailers get here to Canada for 90 cents. It takes anywhere from 5-10 days. That is soon enough I think. I don't think its necessary to pay more to get it here a few days sooner. When I send it back to the US postage is about $1.82. and it takes about the same time 5-10 days for the return trip. I really appreciate these live shows. I consider them to be so much better than studio albums. I often wait to let good shows circulate awhile before I sign up to avoid slowing the vine down, but if it's a really good show then I can't risk the vine getting lost again as too many have. Thanks to all you viners here for persevering with the delays and the post office visits for shows you are sending to Canada. I do appreciate your efforts. Sorry I haven't gotten back here before this, been busy. Thanks to all the folks who gave good advice concerning this. To the others who beratted me for even asking the question...you can go **** yourselves. It was a simple question, no need to treat me like some big outsider for asking. And FYI, it was $3.60 cents to mail to Netherlands, which I had no problem paying. I will offer a suggestion to some of you Maximumpeach, Peachsupreme etc people that think you are godlike here...cut the crap! It's really standoffish and there's no need of it in such a community. This isn't the first time that this has happened when I asked a question, and I've seen it happen to countless others. But alas it will be the last time for me. I'm all done here and I won't bother you folks again. And the people that post replies such as "good riddance, we don't want you anyway" are EXACTLY the kind of people that I'm talking about. Some of you should take an example from the PhilZone...that is where a true community that has common values and interests exists. Love to all...NO exceptions. Peace! Some of the best stuff I own was sent from 'cross the pond. I thought it was a good question.